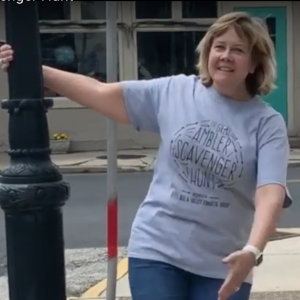 Have You Registered Your Team for the Great Ambler Scavenger Hunt? 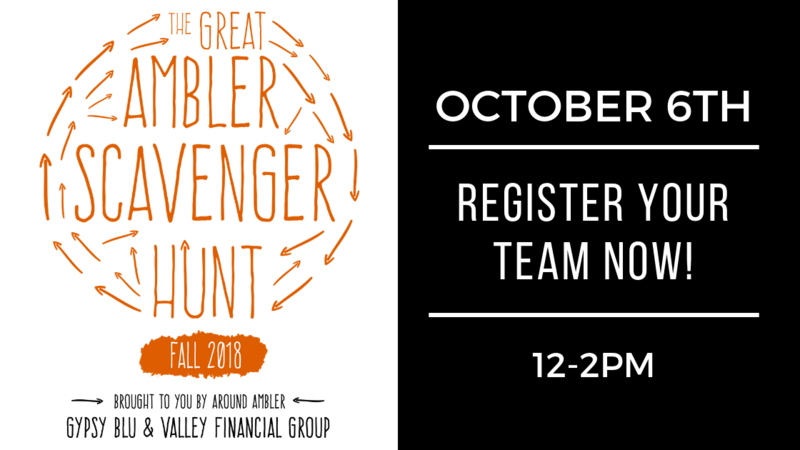 Get your team together now for The Great Ambler Scavenger Hunt- fall edition- taking place on Saturday, October 6th from noon to 2:00 p.m. with a fun celebration to follow at Gypsy Blu! 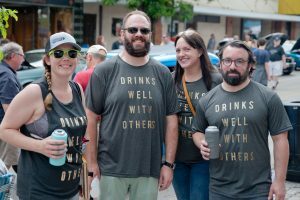 Tee shirts are only guaranteed if you register by the end of the day Friday, September 28th! 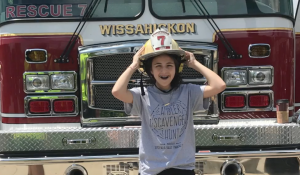 Much like before, the hunt will take your team on an adventure across the Ambler area on foot exploring history, participating in challenges and solving clues. Teams earn points for each item collected and challenges completed. Clues and challenges have different point values depending on degree of difficulty. The team with most points, factored with the time it took to complete the hunt, wins. The team that wins the Stroller Division will receive a $200 Kid’s Birthday Party at Gypsy Blu and the team that wins the Regular Division will receive a $300 cash prize. 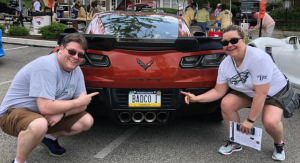 The Great Ambler Scavenger Hunt is brought to you by AroundAmbler.com and sponsored by Valley Financial Group and Gypsy Blu.